Nov. 26, 2018, 6 a.m.
By Herman Wasserman and Dani Madrid-Morales Nov. 26, 2018, 6 a.m. Concerns about “fake news” have dominated discussions about the relationship between the media and politics in the developed world in recent years. The extraordinary amount of attention paid in scholarship and in public debates to questions around truth, veracity, and deception can be connected to the role of “fake news” in the 2016 U.S. presidential election and President Donald Trump’s use of the term to dismiss his critics. The term “fake news” itself is controversial because it’s poorly defined. The panic created by the spread of misinformation in general has led to introspection by journalists and a reassertion of professional values and standards. The rise of false information has complex cultural and social causes. Until now, though, the phenomenon has been studied mostly as it happens in the U.S. and Europe, with relatively little attention to the situation in African countries. That’s despite the fact that disinformation on the continent has often taken the form of extreme speech inciting violence or has spread racist, misogynous, xenophobic messages, often through mobile platforms such as WhatsApp. To fill the gap in information about “fake news” in sub-Saharan Africa, we conducted an online survey in Kenya, Nigeria, and South Africa earlier this year. Our study had three goals: to measure the prevalence of disinformation, to learn who people believe is responsible for stopping fake news, and to understand the relationship between disinformation and media trust. Our survey, in which 755 people took part, reused questions from another study on the topic conducted in 2016 by the U.S.-based Pew Research Center, which allows us to compare our results with those in the U.S.
Our findings suggest that African audiences have low levels of trust in the media, experience a high degree of exposure to misinformation, and contribute — often knowingly — to its spread. First, media consumers in Kenya, Nigeria and South Africa perceive that they are exposed to “fake news” about politics on a fairly regular basis. Almost half of Kenyan respondents said they often encounter news stories about politics that they think are completely made up. More alarmingly, only a small fraction (ranging from 1 to 3 percent) say they have never come across fabricated news. In the U.S., that figure is much higher (12 percent). By type of news organisation, Nigerian and Kenyan audiences said they trust international media more than any other. In South Africa, local media is the most trusted. A consistent pattern across countries: The lowest degree of trust is in social media. Fifth, we found that those respondents who believe they are exposed to “fake news” more regularly have lower levels of trust in the media generally. Because misinformation and disinformation appear to be contributing to the erosion of media trust, it’s important that strategies to address the fake news phenomenon look beyond media literacy. Educating audiences about the dangers of fake news is not enough. Media literacy should form part of a larger, multi-pronged approach to restoring trust in the media. Our findings suggest that media organizations will have to work hard at rebuilding relationships with audiences. Our data comes with some limitations. While we tried to sample different segments of society, because responses were collected online, it’s more likely to represent the point of view of the urban middle classes, rather than those living in rural areas, with lower income levels, or both. The results of this study, the first to explore misinformation and disinformation in multiple African countries, provide some initial evidence that can be used in designing strategies to limit the spread of fake news, and to mitigate the declining trust in the media. In sub-Saharan Africa, mainstream news outlets have long struggled to gain their independence and freedom. State control over media, whether via ownership or suppression, remains strong. The high levels of perceived exposure to misinformation and disinformation, if left unaddressed, could further undermine the precarious foothold of independent media on the continent. Herman Wasserman is a professor of media studies and director of the Centre for Film and Media Studies at the University of Cape Town. Dani Madrid-Morales is an assistant professor in journalism at the Jack J. Valenti School of Communication at the University of Houston. This article is republished from The Conversation under a Creative Commons license. 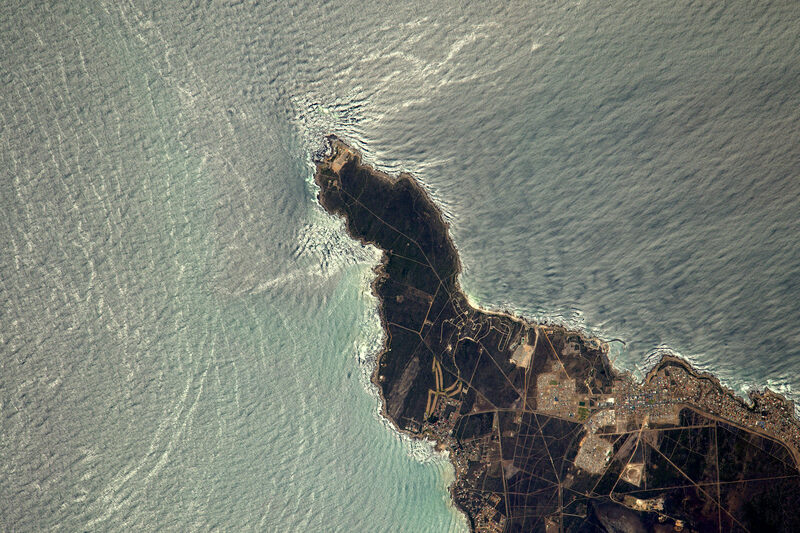 Photo of South Africa’s Cape of Good Hope from the International Space Station by astronaut Thomas Pesquet used under a Creative Commons license. POSTED Nov. 26, 2018, 6 a.m.
Wasserman and Dani Madrid-Morales, Herman. "New data suggests African audiences see significantly more misinformation than Americans do." Nieman Journalism Lab. Nieman Foundation for Journalism at Harvard, 26 Nov. 2018. Web. 20 Apr. 2019. Wasserman and Dani Madrid-Morales, Herman. "New data suggests African audiences see significantly more misinformation than Americans do." Nieman Journalism Lab. Last modified November 26, 2018. Accessed April 20, 2019. https://www.niemanlab.org/2018/11/new-data-suggests-african-audiences-see-significantly-more-misinformation-than-americans-do/.